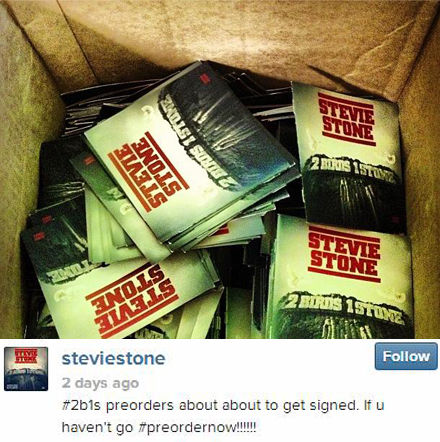 With all the excitement surrounding Something Else right now, let us not forget that Stevie Stone is also on his grind and gearing up to release his next collection of bangers 2 Birds 1 Stone. Recently, Stevie took to his Instagram to inform fans that he’s in the process of signing pre-orders, a special treat available exclusively to those dedicated fans that pre-order the upcoming album from the Strange Music store! Those who have heard the sneak peek of 2 Birds 1 Stone offered on the Independent Powerhouse Sampler know that high energy heaters are to be expected, and those expectations were just re-affirmed with the release of the visuals for the track “The Reason” featuring Spaide Ripper. 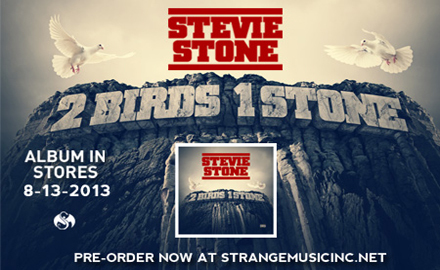 2 Birds 1 Stone drops on August 13th, and so far all signs point to another instant classic in Stone’s constantly-expanding catalog.